To continue with last year's tradition, here are our favorite heart-shaped items to commemorate Valentine's Day. From tops to accessories to home decor, we love heart-shaped anything (especially chocolates). And if this post doesn't fulfill your heart's desire (! 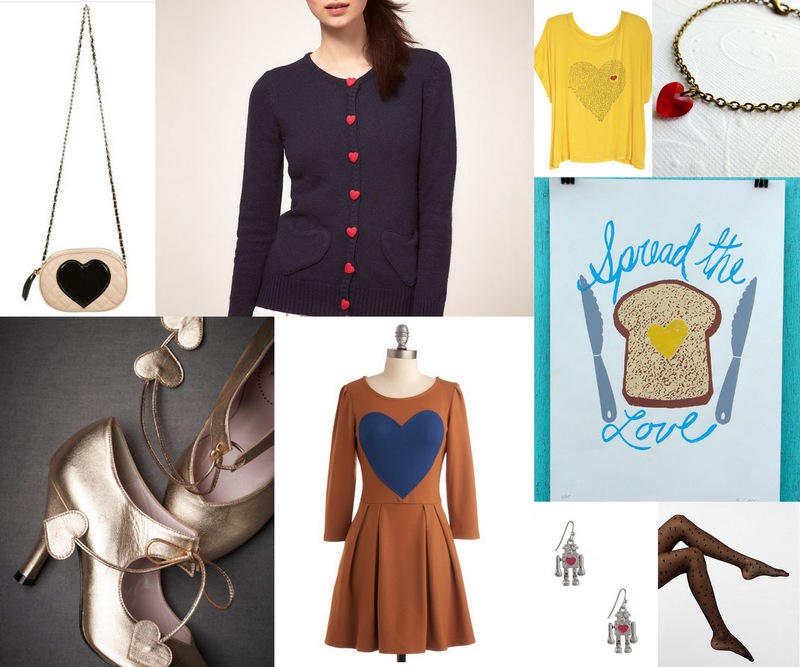 ), then check out assorted hearts, a pretty and sweet blog that shares random images of the universal symbol of love.